Valerie Chang kept waking up breathless in the middle of the night. As a regular swimmer and non-smoker, she figured it was a fluke, a remnant of her childhood asthma, perhaps. But after a lung test, doctors told her that she had chronic obstructive pulmonary disease (COPD); her lung function was only 30 percent and she had done irreversible damage to her lungs. Unfortunately, they said, there was nothing they could do to improve her lung function, and she would likely need a transplant in a year. Eighteen years later, Chang's original lungs are still intact and her emphysema and asthma are under control, but she's had to go through dozens of medications and multiple doctors to get there. As a non-smoker, Chang doesn't fit the typical profile of someone with COPD, but the revolving door of drugs – and her frustration around it – are not atypical. "Most of the treatments for COPD are just symptomatic, and that's really not that comforting – especially if you're 42, which I was when I was diagnosed, and you have young children and you are wondering if you'll be around to watch them grow up," says Chang, who is now being treated at UC San Francisco by professor of medicine Steven Lazarus, MD. COPD is the third-leading cause of death in the world. And though treatments exist to improve the symptoms of COPD, as in the case of Chang, there is no way to slow the progression of the condition or cure it. The main difficulty in finding a cure is COPD's heterogeneous nature – the disease can be thought of as an umbrella term for various symptoms, the most prominent being inflammation of the small airways (bronchitis) and destruction of the air sacs, or alveoli, in the lungs (emphysema). There are also varying genetic and environmental risk factors for COPD, as well as differences in disease exacerbation and progression. To develop novel therapies to treat specific subtypes of COPD, and potentially even to reverse some of the symptoms, scientists at UCSF are taking a precision medicine approach to the disease. They are also searching for improved biomarkers that can match treatments to the patients who will benefit from them the most. The first intervention for COPD is typically to get patients to stop smoking cigarettes, since that is the primary cause of the condition in the United States, where 16 million people have been diagnosed with the disease. Chronic exposure to cigarette smoke can trigger inflammation and scarring in the airways. 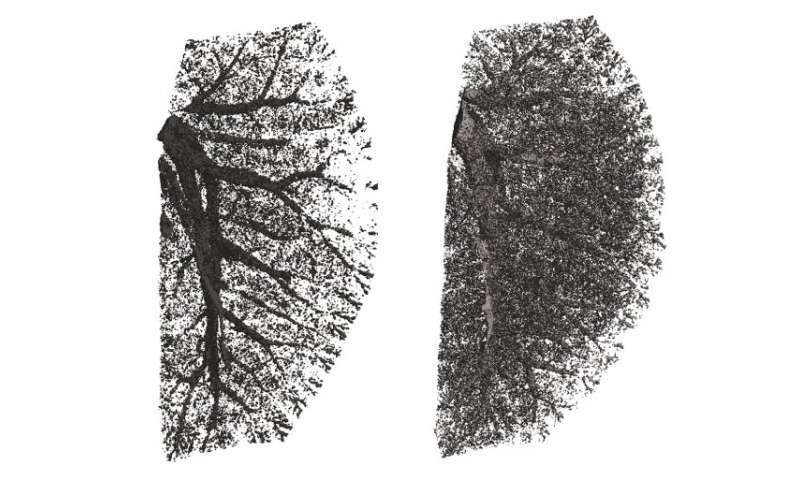 Ordinarily, healthy organs absorb scar tissue over time and return to normal, but in COPD the damage to the airways remains and lung function can continue to decline even after people quit smoking. Regardless of the root cause, the current treatment for airway inflammation is steroid inhalers like the ones used for asthma, but these drugs often don't work in COPD. Stephen Nishimura, MD, Chief of Pathology at UCSF, says that one reason for this may be that the traditional pathways involved in inflammation don't hold true for COPD. "We need to study and target other inflammatory pathways that are specific to COPD and could possibly have a greater therapeutic benefit," he says. In his search for the source of inflammation, Nishimura turned to TGF-beta, a protein that is critical for immune function and the generation of scar tissue. When TGF-beta is activated in a cell it leads to the production of the inflammatory protein IL-17. Working in mice, Nishimura developed an antibody that was able to prevent the activation of TGF-beta specifically in the lung. By suppressing TGF-beta activation, the anti-body successfully blocked IL-17 inflammation, which in turn prevented scar tissue formation. Nishimura is now working with a pharmaceutical company to bring the antibody to patients. However, as not all COPD patients suffer from airway scarring, an important next step is to identify which patients have the symptom and are therefore most likely to benefit from the therapy. "We have an idea of how this pathway might be involved in airway disease in humans, but we lack a critical piece of puzzle: how to identify patients who should have the treatment," Nishimura says. "We need to look for biomarkers that predict which patients are going to have this type of inflammatory response." One biomarker that could help to indicate what's happening in the lung and categorize the different subtypes of COPD is the lung's microbiome. "A lot of our work focuses on trying to identify subgroups of patients with different responses in the lung. If we can find subsets of patients that are going to be more responsive to therapies, doctors can tailor their treatment options accordingly," said Stephanie Christenson, MD, an assistant professor of medicine at UCSF. Christenson is particularly interested in exacerbations of COPD, a worsening of symptoms that is typically treated with steroids or antibiotics. However, doctors often don't know why an exacerbation occurred – whether it was due to a viral or bacterial infection, pollution, or an unknown cause. The root of an exacerbation makes a big difference in how you treat it; you don't want to give a patient antibiotics if they have a viral infection. Changes to the microbiome during an exacerbation and, perhaps even more importantly, how the lung responds may hold the answer. Christenson is analyzing phlegm samples that were collected from patients before, during and after an exacerbation to see if she can subgroup them based on how their microbiome changed. She can track gene expression in the lung to see changes in inflammation, as well as the presence of a virus or bacterial infection. With this information, she's been able to identify different types of inflammation based on immune responses in the lung, which can then be matched to treatments. For example, type 2 inflammation is an asthma-like inflammatory response that can be managed with inhaled steroids, while inflammation from IL-17 (one of the proteins affected by Nishimura's antibody) is thought of as a response to bacteria and doesn't respond as well to inhaled steroids. "A lot of times we just throw everything at these patients – we'll try giving patients both an antibiotic and a steroid – but those things come with risks," Christenson says. "If we can identify biomarkers that tell us whether a patient has a change in their gene expression that would be solved by giving them a steroid, then those are the patients we should give steroids to. On the other hand, if we can clearly identify a bacterial infection, we should be treating it with antibiotics." Another way to distinguish between subclasses of COPD is a patient's genes. UCSF assistant professor of medicine Tien Peng, MD, is using genetic information about COPD to guide the development of novel treatments for the disease. "There are a lot of smokers, but only a relatively small subset of them develop COPD with emphysema, so there must be some underlying genetic predisposition for those people," Peng says. 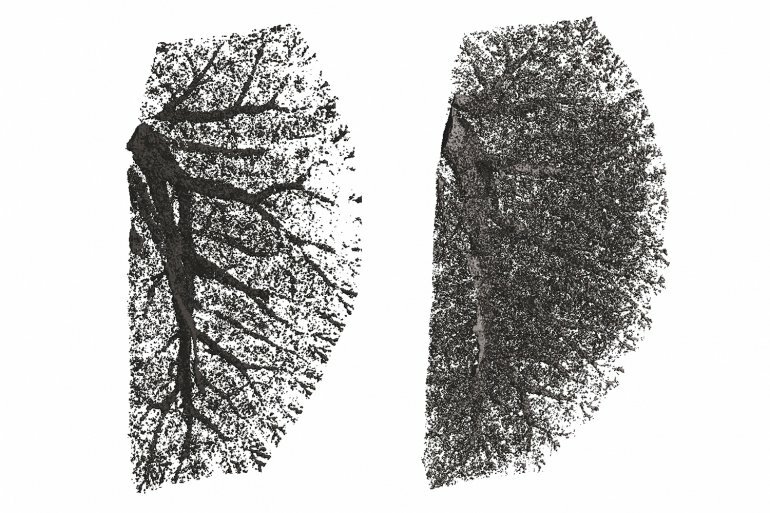 Over the last decade, genome-wide studies have identified several changes within different parts of the genome that might predict who is at risk for emphysema. One of the cellular pathways that might be genetically modified is called "hedgehog." The hedgehog pathway plays an important role in how stem cells function in the lung. It is typically activated in cells around the airways of the lung but not lower down in the air sacs, or alveoli. In a recent article in the Journal of Clinical Investigation, Peng reports that abnormal activation of hedgehog in cells in the alveoli causes emphysema in mice by impeding the ability of lung stem cells to regenerate damaged alveoli. "Stem cells are critical to maintaining the structure of an organ. We show that activation of hedgehog results in fewer stem cells because the cells won't renew, and that may explain the loss of air sac structures in emphysema," Peng says. "This is a new way of thinking about emphysema as a disease of aberrant regeneration or loss of stem cell capacity, rather than simply as a disease of inflammation." Peng is currently exploring various ways to modify hedgehog signaling in the lung to improve stem cell function, with the goal of developing a new therapy for COPD patients with emphysema. In a heterogeneous condition such as COPD, scientists' pursuit of specialized research to advance the field as a whole is key, since one drug is not going to treat every subtype of the disorder, and attempting a blanket clinical trial would surely result in failure. "A lot of people are working on COPD from all different angles," says Nishimura. "Our hope is that the other arms are keeping up progress so that when a drug is ready, we can identify and deliver it to the patients who would benefit the most."